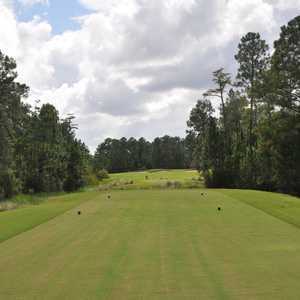 ORANGE PARK, Fla. -- There are a lot of holes you'll remember from The Golf Club at Fleming Island, located approximately 30 minutes south of Jacksonville. 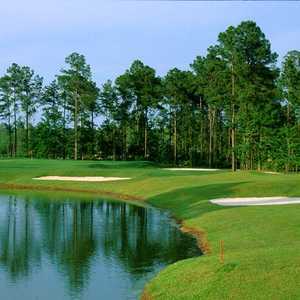 The par-5 16th hole at The Golf Club at Fleming Island is a sharp dogleg right over a pond and marsh. Designer Bobby Weed made certain of that, with dramatic mounds and swales on some fairways, adding a smorgasbord of bunkers and changing approach angles. The contours make for a visually appealing and unpredictable course. If your drive falls off the elevated fairway, it's a whole different ballgame to get on the green. Or, if your ball is trying to careen off course, a mound might nudge it back in play. It all works out in the end. The course, 6,688 yards at the tips, has six tee sets, including a blue-and-white combo, that step down to 4,689 yards. Only once, on the par-4 14th hole, is a carry required to the green. The rest have access, one way or another, past the green-protecting bunkers. Holes of note include the par-4 fourth hole, which requires a just-so drive to angle onto the fairway while avoiding waste bunkers on the left and a backstop bunker on the right. From there, you have to make your way over a row of mounds across the fairway in front of the angled green. The par-5 fifth hole leaves the beginning of the hole open, then pours in the sand starting about 100 yards out on the right, then center, then left at the offset green. It's a lot of whiteness to block out. The 10th, a par 3, includes an audience of anyone on the clubhouse's veranda. Luckily, it's a mid-length hole that can leave you looking pretty skilled -- as long as you avoid drifting right or bouncing it off the tee into the marsh. The most creative hole on the golf course is no. 12, a short par 4 that entices you to try to fly some trees and land on a thin but wide green just 278 yards from the white tees. But there's more to the hole than that. If you shift your tee shot a little farther left, it brings into play a mound covered with bunkers in the middle of the fairway. Land too far left and you won't be able to see the green. No. 16, a par 5, is another well done hole with a plethora of hazards to avoid, from a marsh carry to start to a bunkers left and right after that. Beware the water on the left toward the green because the fairway slopes that way. It's the last bugger of a hole. Seventeen is a short par 3 and 18, another par 5, is an open cruising hole. 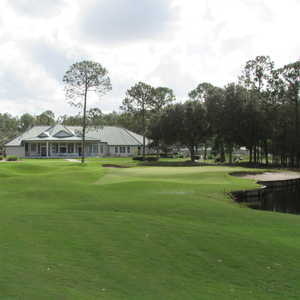 The Golf Club at Fleming Island has it all -- an intriguing mix of holes in excellent condition from tee to green, an attentive staff who are friendly and efficient and a very reasonable pricing structure. This is a course very deserving of your time.